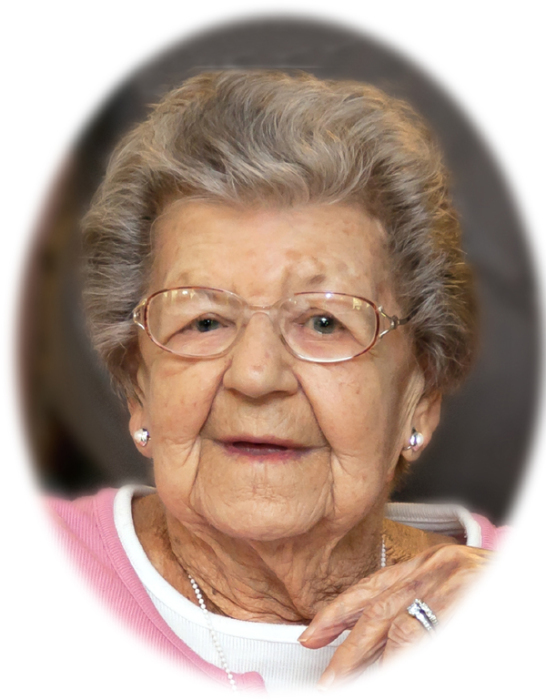 Obituary for Myrtle B. Teufel | Sheetz Funeral Home, Inc.
Myrtle B. Teufel, 94, of Mount Joy, passed away on Saturday, July 14, 2018 at Juniper Village. Born in Lititz on August 26, 1923, she was the daughter of the late Amos H. and Agnes Mae (Blantz) Witmer. Myrtle was the wife of the late Kenneth O. Teufel who passed away July 16, 2017. Myrtle graduated from the former Mount Joy High School class of 1942. She retired from AMP, Inc after 35 years of service in 1985. Myrtle enjoyed cooking, gardening and flowers. Myrtle had a second residence in Milford, DE for 32 years. There she enjoyed crabbing, clamming and picnics with family. Myrtle is survived by daughters, Constance “Connie” Lee Shireman, wife of John of Mount Joy and Nancy Jean Wagner, wife of Philip of Milford, DE; six grandchildren; fifteen great grandchildren; and two great great grandchildren. Services will be private and at the convenience of the family. In lieu of flowers memorial contributions may be made to Juniper Village, 607 Heathstone Lane, Mount Joy, PA 17552 or Masonic Villages Hospice, 1 Masonic Drive, Elizabethtown, PA 17022.